A school many have been waiting for. 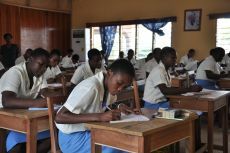 With the inauguration of the first new section of the St. Catherine Senior High School in January 2011 the school project’s importance to the Keta-Akatsi was unmistakable. The First Lady of Ghana, Ernestina Naadu Mills, many leading politicians, the church as well as more than 1000 guests from the surrounding communities attended the festivities. 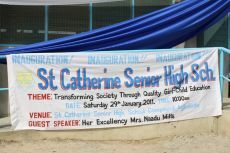 St. Catherine Senior High School is a secondary boarding school for girls. 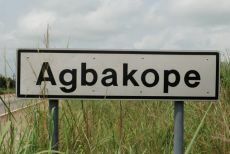 The site has a total area of 17 hectares and is situated 140 km east of the capital, Accra, near the village of Agbakope. The project plans were started in 1997 by Bishop Adanuty and his Keta-Akatsi diocese. 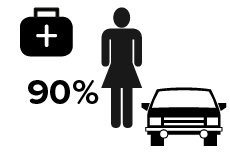 A few years passed until the creation of a masterplan and building commenced in 2007 before coming to a halt due to the lack of financial support. Our involvement allowed the first building phase of the school to be completed within a year. In January 2011, 165 pupils began their academic journey on the new campus. At present, the school has reached its capacity, and 702 girls are living and learning at St. Catherine. Therefore, the completion of Dormitory 3 and the planning of the new Home Economics and Science Block are essential for the school. An achievement we pride ourselves on. 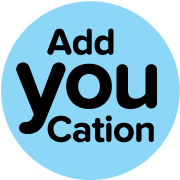 We hope to inspire other individuals and companies to join and support AddYouCation. The construction of the school must be continued.